Want to work in peace and quiet? Sherrill Library's third floor is designated for silent study. It's the only place in the library where you'll ever hear "Shhh!" Sherrill Library has individual study rooms for students on the 2nd and 3rd floor. You can reserve a room for up to three-hour blocks of time and up to two weeks in advance. When it's time for your reservation, check out the key for your study room at the Sherrill Library Info Desk. Moriarty Library does not distinguish between individual and group study rooms, and students wishing to work alone or in a group have access to the same spaces. Just be sure to reserve a room, but you do not need to pick up keys because all Moriarty work rooms are unlocked. Working on a group project? Need to collaborate? 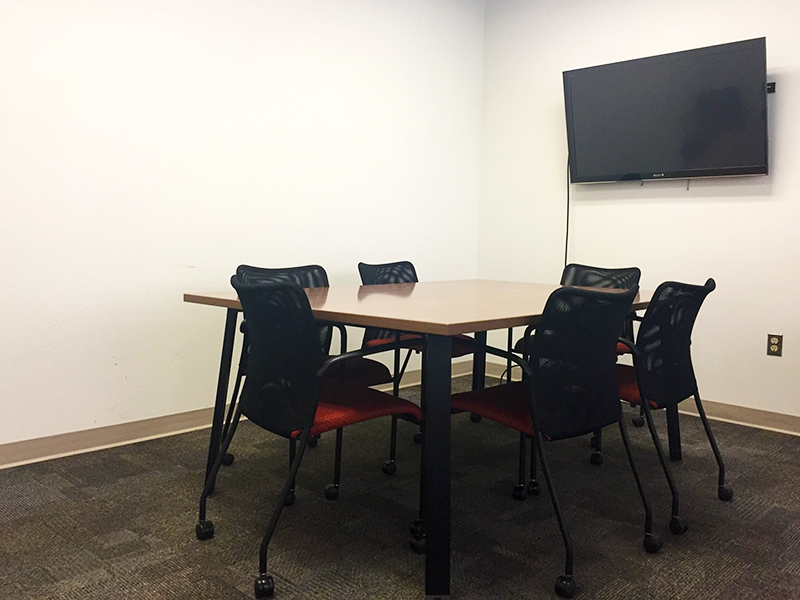 Group study rooms are available at both Sherrill and Moriarty Library. Reserve a Sherrill meeting room, or a Moriarty meeting room. 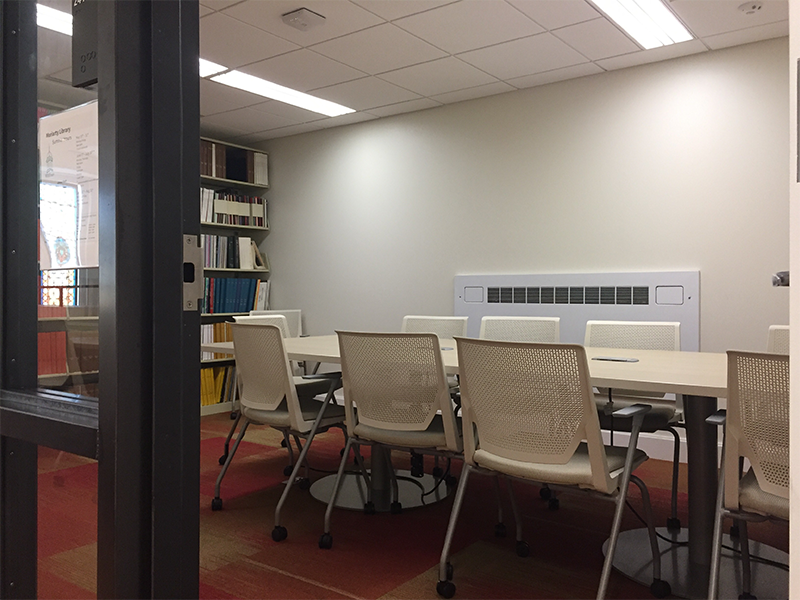 These spaces remain unlocked and feature conference tables, chairs, and projectors for screen sharing. Stop by the Info Desk if you need peripherals. Questions about reserving a space? See our Room Reservation Policy for more details.